All staff photos published in the Record-Eagle print edition during the week of August 30 - September 5, 2009. Note: Some photos may not be available until late afternoon on the day published. Photos published on Saturday and Sunday may not be available until Monday. 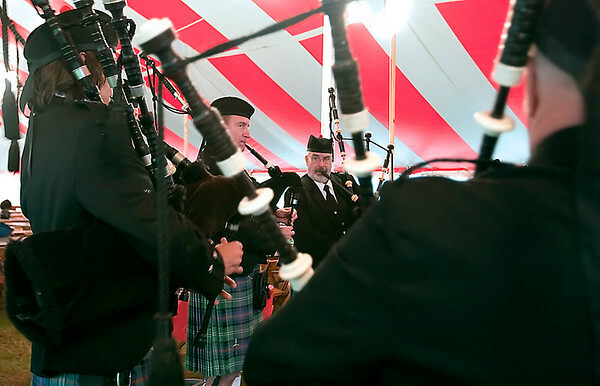 Shielded from rain showers, the Grand Traverse Pipes and Drums perform for the crowed under a tent at the Traverse City Microbrew & Music Festival.